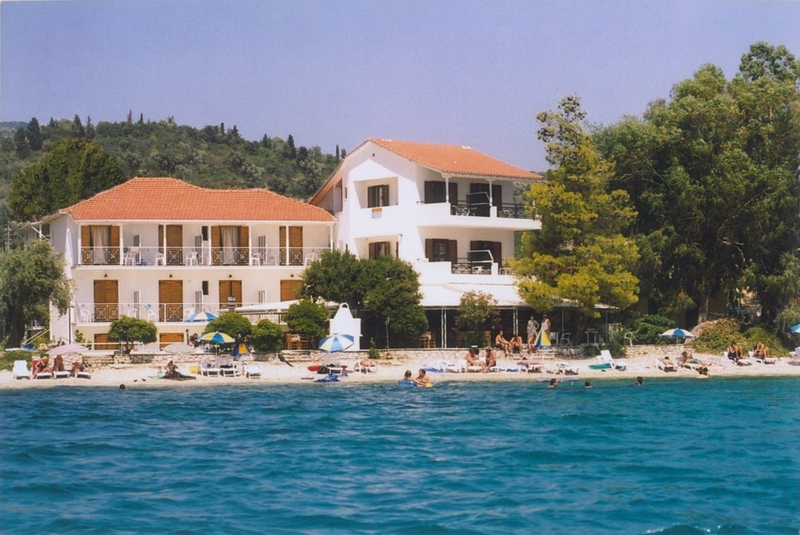 Located in Nikiana village on Lefkas Island, this small and perfectly formed beach front complex has 25 rooms, a fresh water swimming pool and a very good family run Taverna in a quiet location with stunning scenery. The beach is sand and shingle and it’s a simple, traditional style property where most of the rooms have either full or partial sea view. The Nikiana Beach Club occupies an idyllic setting along a short single track road, just two minutes walk from the village centre. 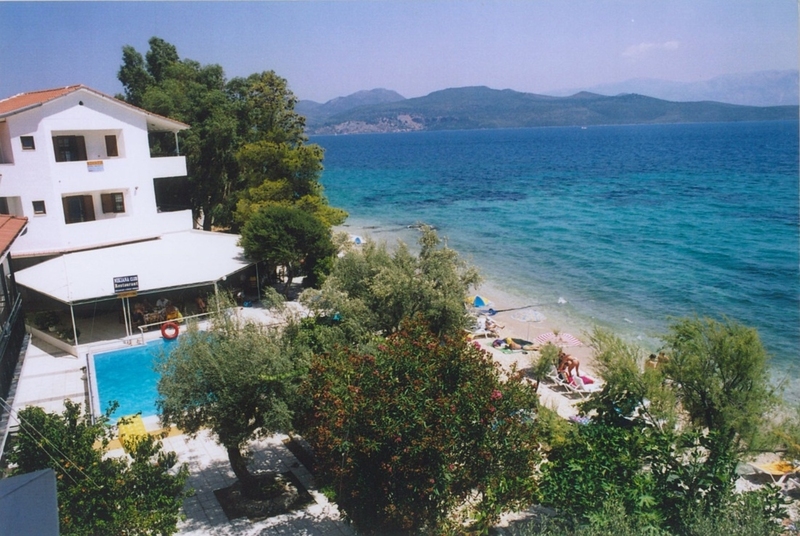 Here you will find the club built around a courtyard, only yards from the long sand and shingle beach, shaded by olive trees.The setting is truly idyllic with a stunning mountain backdrop, the mountains of the mainland, as well as the islands of Meganissi and Skorpios clearly visible across the inland sea. 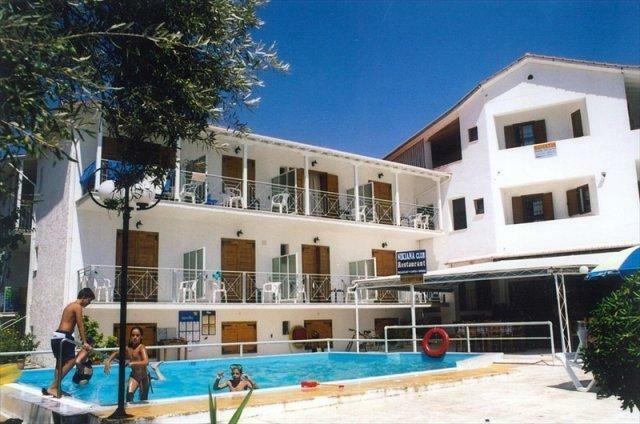 Accommodation is offered on a BB basis, since the family run Taverna on site is too good to miss, whilst the walk into the village centre for a good choice of alternatives is short stroll. As a smaller club, Nikiana has a really friendly atmosphere where everyone gets to know the other guests and all the staff and in that sense, it' is just like one big happy family. On the other hand, in common with our other smaller club it is not the place for lots of organised activities round the clock and full programme children's clubs.As a safe and peaceful beach front location, it is ideal for families that want to spend quality time together, enjoying the sailing and taking time out to explore the attractive local area.Our sailing team do organise some sailing sessions and water borne activities specifically for kids, ensuring that parents can get some time to themselves to sail with the comfort of knowing that the children are occupied. the sailing club is run by a team of instructors and safety crew as part of the RYA . Equipment on offer includes a range of windsurfers with a choice of rigs, plus a range of sailing dinghies to suite all abilities. The beach club is proud to offer Sailing, Windsurfing & Powerboat courses under the guidance of the RYA (Royal Yachting Association), this ensures they employ fully qualified, seasoned instructors that will always go the extra mile to ensure you receive the ultimate learning experience, in a safe, controlled environment. Whether you’re a complete novice or a seasoned dinghy sailor or windsurfer, our instructors have the knowledge to take you on to the next step in your development. We offer group or one: one instruction in all of our disciplines, to book any of these courses please contact our reservations team.